PHOENIX Virtual Running is here and we're inviting you to sign up for our Top Run Virtual event with either a 5km or 10km option. 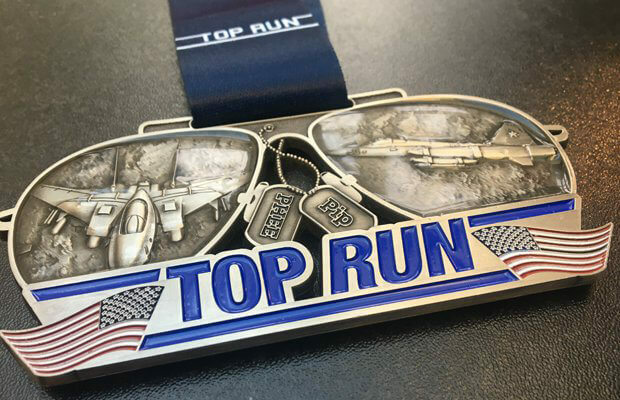 We've been absolutely inundated with requests to do a Top Run Virtual option and so here it is - your chance to get your hands on this truly epic medal. The medal for this event is one of our finest and we've even turned it into one of our new series of medal / fridge magnets, 'medal-mags' as we call them. You can display it with pride as a conventional medal or simply slip the ribbon off (using the specially designed Velcro break) and stick it on your fridge.